Patent rights are only enforceable by the patent owner by way of a civil action. There are presently no administrative proceedings available for the enforcement of patent rights. There is a specialised Intellectual Property High Court in Kuala Lumpur and most civil actions for patent infringement are filed here. However, there is no legal prohibition for a patent owner to institute a civil action in High Courts in other states of Malaysia if the parties reside outside Kuala Lumpur. What is the format of a patent infringement trial? The format of a patent infringement trial is the same as any general civil suit trial. Owing to the nature of patent infringement, where substantial dispute as to facts is inevitable, civil action is generally brought by way of a writ of summons together with a statement of claim setting out the material facts of the claim made and the remedies sought. Malaysia adopts the common law system of pleadings where the parties are required to exchange pleadings within the prescribed time frame. After being served with the statement of claim, the defendant must file his or her defence and counterclaim (if any) within the prescribed period, followed by a reply by the plaintiff if necessary. Where the defendant disputes the validity of the patent, he or she must include the particulars of objections, setting out the grounds of objections clearly in his or her defence. There is no trial by affidavit in Malaysia. Parties are required to prove their case by calling witnesses who would state their cases in the first stage of trial, namely examination in chief, by way of written witness statements. However, all witnesses must be present in court during the trial for cross-examination. Experts are invariably called to assist the court during a patent suit. In fact, expert opinions on the issues of novelty and inventive steps are indispensable in a patent trial. Malaysia does not have a jury system, hence disputed issues are decided by a single judge. A trial will typically last between one and two weeks, depending on the complexity of the matter and the issues in dispute. What are the burdens of proof for establishing infringement, invalidity and unenforceability of a patent? The burden of proof in a patent infringement suit is the civil burden of balance of probabilities. This same burden of proof applies to the issues of infringement, invalidation and unenforceability. the defendant’s product works the same way as the plaintiff claims in his or her patent. that incomplete or incorrect information has been deliberately provided or caused to be provided to the Registrar at the time of filing a request for a substantive examination by the person to whom the patent was granted or by his or her agent. See section 56 of the Patents Act 1983 (PA). Who may sue for patent infringement? Under what conditions can an accused infringer bring a lawsuit to obtain a judicial ruling or declaration on the accusation? The owner of the patent (section 59 PA), licensee and beneficiary of the compulsory licence (section 61 PA) have the right to sue for patent infringement. An accused infringer can bring a lawsuit against the owner of the patent to obtain a declaration from the court that committing the act in question does not constitute an infringement of the patent. However, if the act in question is already the subject of an infringement action, and the accused infringer is already made a defendant to that suit, the claim for a declaration of non-infringement is not allowed (section 62 PA). An accused infringer can also bring a lawsuit against the owner of the patent for the invalidation of the patent (section 56 PA). To what extent can someone be liable for inducing or contributing to patent infringement? Can multiple parties be jointly liable for infringement if each practises only some of the elements of a patent claim, but together they practise all the elements? There is no provision for indirect or contributory infringement under the PA. In order to prove infringement, as mentioned above, each and every essential integer or feature claimed by the patented invention must be present in the defendant’s product or process. In a process or method patent, the defendant must be shown to have taken every step of the patented process. Thus, it is not possible to make the defendants jointly liable if they merely carried out part of the patented claim. However, it is possible to sue based on the tort of conspiracy to injure, if the parties are acting in concert to injure the interests of the plaintiff. Can multiple parties be joined as defendants in the same lawsuit? If so, what are the requirements? Must all of the defendants be accused of infringing all of the same patents? Multiple parties can be joined as defendants in the same lawsuit with the leave of the court or if separate actions are brought against each of the defendants, where there are some common questions of law or fact would arise in all the actions and all rights to relief claimed in the action (whether they are joint, several or alternative) are in respect of or arise out of the same transaction or series of transactions (see Order 15 rule 4 Rules of Court 2012, (ROC 2012)). Because of the requirement of commonality of issues of law and fact, it appears that all of the defendants have to be accused of infringing all of the same patents. Where it appears to the court that the joinder of causes of action or of parties may embarrass or delay the trial or is otherwise inconvenient, the court may order separate trials or make such order as may be expedient (see Order 15 rule 5 ROC 2012). To what extent can activities that take place outside the jurisdiction support a charge of patent infringement? Only committing an infringing act within Malaysia would constitute an act of patent infringement (see section 58 PA). To what extent can ‘equivalents’ of the claimed subject matter be shown to infringe? The court does recognise infringement by way of the ‘equivalents’ of the claimed subject matter. An assessment of the same would be done by way of a purposive interpretation of the claim set out in the widely accepted case of Catnic Components Ltd v Hill and Smith Ltd  RPC 183. This approach has been accepted in the Court of Appeal’s decision of CadwareSdnBhd v Ronic Corporation  6 MLJ 19 where the Court of Appeal adopted the purposive construction doctrine laid down in the Catnic case as well as applying the Improver test (as expounded in the case of Improver Corpn v Remington Consumer Products Ltd  FSR 181) when considering whether there is infringement of patent. What mechanisms are available for obtaining evidence from an opponent, from third parties or from outside the country for proving infringement, damages or invalidity? Discovery of evidence is limited to the issues raised by the particulars of infringement and particulars of objection to the validity of the patent (in a counterclaim). This may be done through the processes of discovery of documents or by interrogatories. The court may at any time order any party to a cause or matter to give discovery by making and serving on any other party a list of the documents that are or have been in his or her possession, custody or power and may at the same time or subsequently also order him or her to file an affidavit verifying such a list and to serve a copy thereof on the other party. The documents where discovery may be ordered include documents on which the party relies or will rely; documents that would adversely affect his or her own case; adversely affect another party’s case; or support another party’s case (see Order 24 Rule 3 ROC 2012). Where discovery is by way of interrogatories, a party to any cause or matter may apply to the court for an order giving the party leave to serve on any other party interrogatories relating to any matter in question between the applicant and the other party in the cause or matter and requiring that other party to answer the interrogatories on affidavit within a specific period of time, which shall not be less than 14 days from the date of service of the interrogatories (see Order 26 Rule 1 ROC 2012). What is the typical timetable for a patent infringement lawsuit in the trial and appellate courts? Depending on the complexity of the matter, a patent infringement lawsuit typically takes about nine to 18 months for the decision of first instance to be handed down, while proceedings in the appellate court may take about six to 12 months. What is the typical range of costs of a patent infringement lawsuit before trial, during trial and for an appeal? Are contingency fees permitted? The costs of a patent infringement suit are dependent on many factors, primarily the law firms and legal personnel involved, the complexity of issues involved and the time taken in prosecuting the case. The costs of the expert may be significant as well and vary from one case to another. appeal (to the Court of Appeal): 80,000 to 150,000 ringgit. Contingency fees are prohibited under the Legal Profession Act 1976. What avenues of appeal are available following an adverse decision in a patent infringement lawsuit? Is new evidence allowed at the appellate stage? A patent infringement lawsuit, which invariably includes a claim for permanent injunction, must be brought in the High Court. Appeal from the High Court can be made to the Court of Appeal as of right. There is a second chance for appeal to the apex court, namely the Federal Court. However, an appeal to the Federal Court is not automatic. The would-be appellant must first obtain leave from the Federal Court. Leave will be granted if there is a question of law that is of general application and not previously decided by the Federal Court or, alternatively, if it is a question of importance upon which further argument and decision of the Federal Court would be to public advantage. In the recent Federal Court decision of Spind Malaysia Sdn Bhd v Justrade Marketing Sdn Bhd and Anor  4 MLJ 34, the apex court of Malaysia held that the appeal should be confined only to the questions of law as determined by the Federal Court and other grounds that are necessary to decide on those questions. New evidence is not allowed at the appellate stage unless the court is satisfied that the new evidence was not available to the party previously or reasonable diligence would not have made it so available and the new evidence, if true, can reasonably be assumed to have had a determining influence upon the decision of the High Court. To what extent can enforcement of a patent expose the patent owner to liability for a competition violation, unfair competition, or a business-related tort? A patent owner is granted the exclusive rights to ‘exploit’ the patented invention; to assign or transmit the patent; and to conclude licence contracts. ‘Exploitation’ of a patented invention is defined to include inter alia, the making, selling or using the patented product. Besides that, the owner of a patent is expressly given the right to institute court proceedings against any person who has infringed or is infringing his or her patent. In enforcing a patent by way of infringement action, there is generally no risk of being liable for unfair competition or any tortious liability except when a case for ‘unlawful interference with trade’ is made out. The essential requirement for unlawful interference is that the claimant must prove ‘a deliberate interference with the claimant’s interests by unlawful means’. Case law has established that to enforce an IP right, even if the same is subsequently invalidated, is generally not to be regarded as unlawful. In view of this, it is generally believed that a claim for unlawful interference is hard to maintain based solely on the institution of an infringement action. if the patent owner is engaging in, whether independently or collectively in any conduct that amounts to an abuse of a dominant position in any market for goods or services. 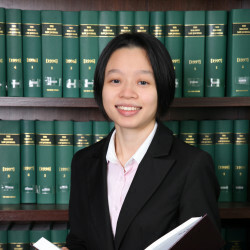 The above-mentioned dual prohibitions of anticompetitive conduct are clearly provided under the Malaysian Competition Act 2010, which came into force on 1 January 2012. However, there is an express exception laid down in the Competition Act 2010 whereby it is clearly stated that the prohibition against abuse of dominant position does not apply to the relevant enterprise in a dominant position in ‘taking any step which has reasonable commercial justification or represents a reasonable commercial response to the market entry or market conduct of a competitor’ (section 10(3) of Competition Act 2010). There is no case law that may shed light on the scope and meaning of this section, particularly on whether enforcement of a patent right is covered within this express exception. To date, there is no guidance issued by the Malaysian Competition Commission on the enforcement of an IPR, including patent rights in regard to the said dual prohibitions. To what extent are alternative dispute resolution techniques available to resolve patent disputes? by other mediators agreeable by both parties. On 30 June 2016, the Chief Justice of Malaysia issued ‘Practice Direction No. 4 of 2016 (Practice Direction on Mediation)’, directing that all judges of the High Court and the deputy registrars and all judges of the Sessions Court and magistrates and their assistant registrars may, at the pre-trial case management stage, give such directions that the parties facilitate the settlement of the matter before the court by way of mediation. Intellectual property cases are listed as examples of cases that are easy to settle by mediation. In practice, mediation of a patent lawsuit rarely happens, possibly because the issue of infringement is normally keenly contested and it is factually and legally complex. Can a patent be obtained to cover any type of invention, including software, business methods and medical procedures? An invention is only patentable if it is new, involves an inventive step and is industrially applicable (see section 11 PA). An invention is regarded as ‘new’ if it is not anticipated by ‘prior art’ and ‘prior art’ is defined to mean everything disclosed to the public anywhere in the world by written publication, by oral disclosure, by use or in any other way, prior to the priority date of the patent application claiming the invention. methods for the treatment of human or animal body by surgery or therapy, and diagnostic methods practised on the human or animal body. This does not include products used on any such methods (see section 13 PA). Based on the above, business methods and medical procedures are not patentable subject matters. 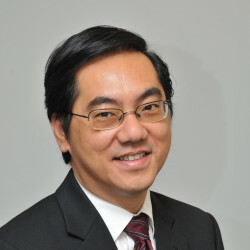 Although software is not specifically mentioned, the Guidelines for Patent Examination Manual issued by the Intellectual Property Corporation of Malaysia state that a computer program by itself or as a record on a carrier is not patentable, irrespective of its contents. The situation does not change when the computer program is loaded into a known computer. The computer program will, however, qualify for patentability when the subject matter as claimed makes a technical contribution to the prior art. Who owns the patent on an invention made by a company employee, an independent contractor, multiple inventors or a joint venture? How is patent ownership officially recorded and transferred? An invention made by an employee or pursuant to a commission shall be deemed to accrue to the employer or the person who commissioned the work in the absence of any provisions to the contrary in the contract of employment or for the execution of the work (see section 20 PA). Thus, if an independent contractor is engaged to research and come up with a new invention, and there is no express reservation of rights, the rights to the invention will be deemed accrued to the person engaging him or her. Generally, the rights to a patent shall belong to the inventor. Where there are multiple inventors, the rights to the patent shall belong to them jointly (see section 18 PA). A patent may be assigned or transmitted. Such assignment or transmission must be officially recorded and no such assignment or transmission shall have effect against third parties unless so recorded in the Register of Patents. Application to record an assignment or transmission must be effected by way of an application to the Registrar in the prescribed manner together with the payment of the prescribed fee. Further, in the case of an assignment, the application to record it must be accompanied by an assignment agreement signed by or on behalf of the contracting parties (see section 39 PA). With regard to joint ownership of patents, it is clearly provided in the PA that in the absence of any agreement to the contrary between parties, such joint owners may separately assign or transmit their rights in the patent application or patent, among others (see section 40 PA). How and on what grounds can the validity of a patent be challenged? Is there a special court or administrative tribunal in which to do this? that incomplete or incorrect information has been deliberately provided or caused to be provided to the Registrar at the time of filing a request for a substantive examination by the person to whom the patent was granted or by his or her agent (see section 56 PA). As mentioned in question 1, there is an Intellectual Property High Court established in Kuala Lumpur. However, it is not the only court with the sole jurisdiction where an action for invalidation must be filed. In fact, all civil High Courts in Malaysia are seised with jurisdiction to hear injunction applications as well as any disputes over a granted patent. There is, however, no administrative tribunal empowered to hear disputes involving the validity of patents. Is there an ‘absolute novelty’ requirement for patentability, and if so, are there any exceptions? such disclosure is by way of a pending application to register the patent in the UK Patent Office as at the date the PA came into force (see section 14 PA). What is the legal standard for determining whether a patent is ‘obvious’ or ‘inventive’ in view of the prior art? the court has to ask itself whether, viewed without any knowledge of the alleged invention, those differences constitute steps that would have been obvious to the skilled person or if they require any degree of invention. The Windsurfing test has been adopted by Malaysian courts in, among others, the court of appeal decision of Seng Kong Shutter Industries SdnBhd& Anor v SKB Shutters Manufacturing SdnBhd  5 MLJ 98;  4 CLJ 1037 and the Federal Court decision of Spind Malaysia Sdn Bhd v Justrade Marketing Sdn Bhd and Anor  4 MLJ 34;  4 CLJ 705. In the Spind decision, the Federal Court held that the Windsurfing test ‘is a good starting point for analysing the issue of inventive step. The structural test offers a useful framework for considering the various factors involved in the assessment, and provides some clarity of reasoning and consistency in approach’ (see paragraph 76 of the decision). Are there any grounds on which an otherwise valid patent can be deemed unenforceable owing to misconduct by the inventors or the patent owner, or for some other reason? Except for the provisions for invalidation of a granted patent (and probably on grounds of public order and morality), there is no statutory provision that may be relied upon to render a granted patent unenforceable. In fact, section 31 PA clearly provides that even if the performance of any act in respect of a claimed invention is prohibited by any law or regulation, the patent shall not be invalidated ipso facto. Is it a defence if an accused infringer has been privately using the accused method or device prior to the filing date or publication date of the patent? If so, does the defence cover all types of inventions? Is the defence limited to commercial uses? Prior use as a defence is clearly provided under the Patents Act. However, it is provided that the use must be in good faith in Malaysia at the priority date. The element of good faith is an indispensable requirement for the defence. Such rights of prior use, however, cannot be assigned or transmitted, except as part of the business of the person concerned (see section 38 PA). It appears that there is no limitation on the type of invention or that the use must be confined to commercial uses. In any event, the right of a patent owner does not include the right to stop anyone from uses in respect of scientific research (see section 37 PA). What monetary remedies are available against a patent infringer? When do damages start to accrue? Do damage awards tend to be nominal, provide fair compensation or be punitive in nature? How are royalties calculated? Upon a successful claim against a patent infringer, the court may award monetary remedies in the form of an account of profits or damages. Account of profits is not awarded as of right. There must be some justification, such as on equitable grounds, for the court to order an account for profit. The court will also award reasonable costs against the patent infringer. Damages are at large and normally cover three types: loss of business profits, loss of opportunity and damage to goodwill. Damages start to accrue from the first date of infringement that is proven. The burden is upon the plaintiff to prove its losses. Damages are generally compensatory and not punitive in nature. There are two broad bases for assessing damages: upon the proof of loss of business profit, and on a royalty basis (if the patent owner is customarily in the business of granting licences). There is no fixed method for calculating royalties. It is a matter of contractual agreement between a licensor and licensee. To what extent is it possible to obtain a temporary injunction or a final injunction against future infringement? Is an injunction effective against the infringer’s suppliers or customers? damages are not an adequate remedy. An injunction is not applicable against the infringer’s suppliers or customers unless an application is made to join them as parties to the injunction application. To what extent is it possible to block the importation of infringing products into the country? Is there a specific tribunal or proceeding available to accomplish this? There is presently no provision under the Patents Act 1983 to prevent the importation of infringing products into Malaysia. Parties who wish to do so would have to obtain a court order to be served on the customs officials. Under what conditions can a successful litigant recover costs and attorneys’ fees? The award of costs to a successful party is a matter of right. However, the amount of costs to be awarded is a matter within the discretion of the court. Attorney fees are normally not recoverable as cost per se. The costs awarded to the winning party may represent only part of the legal costs actually incurred. Are additional remedies available against a deliberate or wilful infringer? If so, what is the test or standard to determine whether the infringement is deliberate? Are opinions of counsel used as a defence to a charge of wilful infringement? There is no provision for additional remedies provided under the PA against a deliberate or wilful infringer. What is the time limit for seeking a remedy for patent infringement? Five years from the act of infringement (section 59 PA). Must a patent holder mark its patented products? If so, how must the marking be made? What are the consequences of failure to mark? What are the consequences of false patent marking? There is no provision for patent marking in Malaysia. However, it is an offence to falsely represent that any product for sale is a patented product or process. Upon conviction, a person is liable to a fine not exceeding 15,000 ringgit or to imprisonment for a term not exceeding two years, or to both (see section 64 PA). Are there any restrictions on the contractual terms by which a patent owner may license a patent? Parties are generally free to decide on the terms of their licence agreements provided that they are in compliance with the general law relating to formation and legality of contracts and do not breach section 45 of the PA. Section 45 clearly states that any clause or condition in a licence contract shall be invalid in so far as it imposes upon the licensee, in industrial or commercial field, restrictions not derived from the rights conferred under the Act on the owner of the patent, or unnecessary for the safeguarding of such rights. There is, currently, no case law that touches or expounds on this section. We believe one of the examples that may fall within the section 45 prohibition is the tying-in provision. Are any mechanisms available to obtain a compulsory licence to a patent? How are the terms of such a licence determined? where there is no product produced in Malaysia under the patent for sale in any domestic market, or there are some but they are sold at unreasonably high prices, or do not meet the public demand without any legitimate reason. The other ground upon which one may apply for compulsory licence is the ‘interdependence of patents’ ground. This is when the invention claimed in a later patent cannot be used in Malaysia without infringing an earlier granted patent, but the invention claimed in the later patent constitutes, in the opinion of the Malaysian Intellectual Property Office (MyIPO), an important technical advance of considerable economic significance; the MyIPO may grant a compulsory licence to the owner of the later patent when requested to the extent necessary to avoid infringement of the earlier patent. When applying for a compulsory licence, the applicant shall set forth the amount of royalties, the conditions of the exploitation of the patent and the restrictions of the rights of the licensor or the licensee, as the case may be, and a request of the licence. The MyIPO shall fix the scope of the compulsory licence upon granting the same to specify, in particular: the period for which the licence is granted; the time limit within which the beneficiary of the compulsory licence shall begin to work the patented invention in Malaysia; and the amount and conditions of the royalty due from the beneficiary of the compulsory licence to the owner of the patent. How long does it typically take, and how much does it typically cost, to obtain a patent? The timeline for securing a patent in Malaysian is dependent on the type of application filed. A straightforward local patent application or a PCT national phase entry application with no objection will typically take four to six years from the Malaysian filing date to be granted. The total estimated legal cost to obtain a straightforward local patent (with less than 10 claims) would be within the range of 5,000 to 7,000 ringgit. The official filing fees to obtain a straightforward local patent (with less than 10 claims) from filing through to registration would be 1,550 ringgit (excluding professional fees service tax and disbursements). The official filing fees are provided on the MyIPO website at the following link: www.myipo.gov.my/en/patent-form-fees/?lang=en. Are there any procedures to expedite patent prosecution? there are other reasonable grounds that support the request. In addition, MyIPO has also launched a Patent Prosecution Highway (PPH) pilot programme with the cooperation of the Japan Patent Office (JPO), European Patent Office (EPO) and the Chinese National Intellectual Property Administration (CNIPA). PPH is an initiative that provides a means to accelerate the examination of the application if the examination work has already been conducted by the above-mentioned patent offices. If the applicant has a corresponding application that has been found to be acceptable by the JPO, EPO or CNIPA, he or she may proceed to request an accelerated examination under the PPH. There is no official fee prescribed for a PPH request. What must be disclosed or described about the invention in a patent application? Are there any particular guidelines that should be followed or pitfalls to avoid in deciding what to include in the application? A patent application shall contain: a request for the grant of a patent; a description; a claim or claims; a drawing or drawings as required; and an abstract. It is further clearly provided that the descriptions shall, among other things, disclose the invention in such terms that it can be understood and in a manner sufficiently clear and complete for the invention to be evaluated and to be carried out by a person having ordinary skill in the art, and state any advantageous effects of the invention with reference to the background art. In addition, the claims of the patent shall be clear and concise and fully supported by the description; and the number of the claims shall be reasonable taking into consideration the nature of the invention. Where the application contains drawings, the technical features mentioned in the claims shall, wherever possible, be followed by Arabic numerals to such features and placed between parentheses. There are a number of standard application requirements, such as; that all application documents must be of a high enough quality as to allow direct reproduction by photography, electrostatic processes, photo offset and microfilming and shall be on white, matte, durable A4 paper (measuring 29.7cm x 21cm). There is also, however, a requirement imposed by the Malaysian Patents Regulations, that in the application, every fifth line of each sheet of the description and the claims shall be numbered in Arabic numerals placed to the left of the relevant lines but to the right of the margin. Must an inventor disclose prior art to the patent office examiner? There is no legal obligation to disclose the prior art to the patent office. However, it is a requirement imposed by the Regulations that the description of the patent shall indicate the background art, as far as is known to the applicant, which can be regarded as useful for the understanding, searching and examination of the invention; and, wherever possible, cite the document reflecting such art. It is understood that these requirements are merely advisory. May a patent applicant file one or more later applications to pursue additional claims to an invention disclosed in its earlier filed application? If so, what are the applicable requirements or limitations? It is permissible for an applicant to file one or more ‘divisional applications’ to pursue additional claims to an invention disclosed in its earlier filed application provided that each divisional application shall not go beyond the disclosure in the initial application. This is the so-called ‘no added new matter’ limitation. Procedurally, in accordance with Regulation 19A of the Patents Regulations 1986, a voluntary request for divisional application must be filed within three months from the date of the mailing of the Examiner’s first report. Is it possible to appeal an adverse decision by the patent office in a court of law? Any person aggrieved by any decision or order of the Registrar may appeal to the court (see section 88 PA). Does the patent office provide any mechanism for opposing the grant of a patent? The Patent Office does not provide for any mechanism for opposing the grant of a patent in Malaysia. However, the Patent Office does accept observations made by any third parties. Does the patent office provide any mechanism for resolving priority disputes between different applicants for the same invention? What factors determine who has priority? The Patent Office does not provide any mechanism for resolving priority disputes between different applicants for the same invention. The Malaysian Patent Office recognises the ‘first to file’ principle. The only way to resolve such disputes would be to file a civil suit seeking a declaration of right in the High Court or through voluntary arbitration proceedings between the parties. Does the patent office provide procedures for modifying, re-examining or revoking a patent? May a court amend the patent claims during a lawsuit? The Registrar may, upon an application made by the owner of a patent, amend the description, the claim or claims or the drawings of the patent or amend any other document associated with the patent for the purpose of correcting a clerical error or an obvious mistake or for any other reason acceptable to the Registrar. However, no amendment should be allowed if the amendment would have the effect of disclosing a matter that extends beyond that disclosed before the amendment or if the amendment would have the effect of extending the protection conferred at the time of the grant. The Malaysian Patents Act does not have similar provisions to that in the UK, which allows a court to amend the patent claims during a lawsuit. In the Federal Court decision of SKB Shutters Manufacturing SdnBhd v Seng Kong Shutter Industries SdnBhd & Anor  9 CLJ 406, the apex court clearly ruled that the position in Malaysia relating to the amendment of patent claims must be distinguished from the position in the UK. How is the duration of patent protection determined? The duration of the 20-year patent protection is determined from the filing date. As reported last year, the Malaysian apex court has in the landmark decision of Spind Malaysia Sdn Bhd v Justrade Marketing Sdn Bhd and Anor expounded on the important concept of ‘inventive step’ of an invention, as well as shedding light on how to decide the ‘inventive concept’ of an invention. The decision has since been reported in, among others, two respected law journals; namely, Malayan Law Journal (citation:  4 MLJ 34) and Current Law Journal (citation:  4 CLJ 705). Wong Jin Nee & Teo (“WJNT”) is an IP & Technology specialist firm, providing a full spectrum, integrated, high-quality, proactive and value added services to organizations in their creation, clearance, protection, portfolio management, enforcement and exploitation of IP and technology.